Pam the Elf was spotted at Abrams Elementary today! 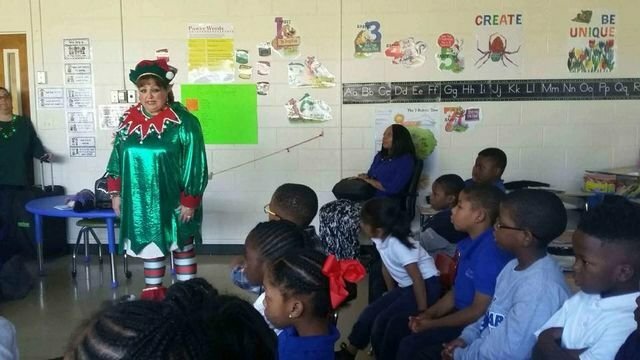 Pam the Elf (aka Mrs. Hogland's sister) read the story of Oscar Dreamzz to first grade scholars. It was such a treat to have Christmas Cheer in the building today!